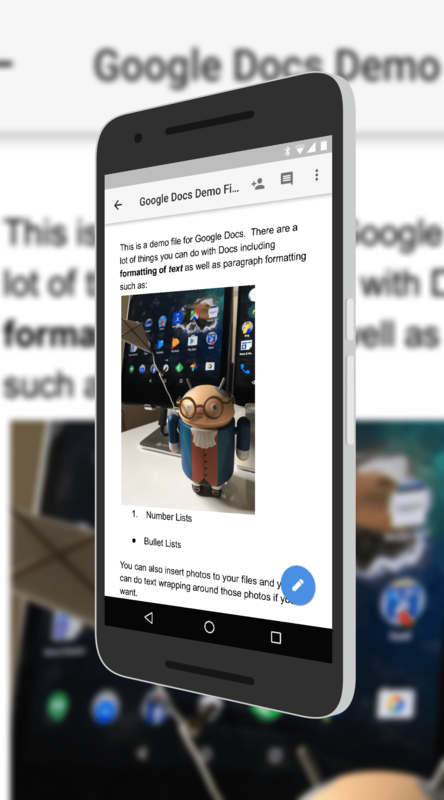 Google Docs for Android had a nice update last week that brings more document editing power to the mobile app. The update is still rolling out so it may be another day or two before you see it. Once you do have it, you will find that you can now edit the headers and footers of your documents from within the app. You can also now drag-and-drop text in a Docs file. In addition to manipulating text, you can also manipulate images that you have inserted into your Docs file. You can resize, rotate and move images within the file as well as adjust the text wrap around that image. time now. But Google, like Microsoft with their Office 365 apps, are working hard to bring parity between their mobile apps and their web or desktop apps. This is just the latest step for Google in that process and you can bet it is going to continue. If you have Google Docs installed on your phone or tablet, you should see the update soon if not already.